The longest running crime show on Indian television, “C.I.D.” has completed 16 years. 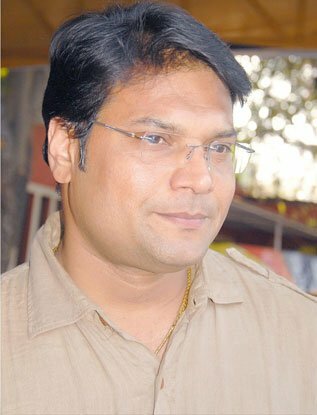 Dayanand Shetty, who plays Daya in the show, says children have been hugely responsible for the show’s success. “If ‘C.I.D.’ has sustained for 16 years, a lot of credit goes to kids. A lot of kids watch our show and they are very involved with the show. Like we used to play ‘Chor Police’, they have renamed it, now it’s ‘C.I.D.’. They play ‘C.I.D. – C.I.D’,” the 43-year-old said here Monday while celebrating the show’s success. A special episode of the popular show, produced by B.P. Singh, involving kids will be aired soon. Dayanand says it will help children speak out against crimes around them. “It is just a way of giving it back to them. If they are so engrossed in the show, then we can spread awareness through them about the crimes around them, even ones happening with them which they don’t talk about,” Dayanand said. “It is just a way to instigate children to talk about it and come out in the open. These kids will investigate according to their methods, they are not going to single-handedly handle the situation, but will help us (the characters). We will project them as super heroes,” he added. The show has been on air since January 1998 and stars Shivaji Satam as ACP Pradyuman.